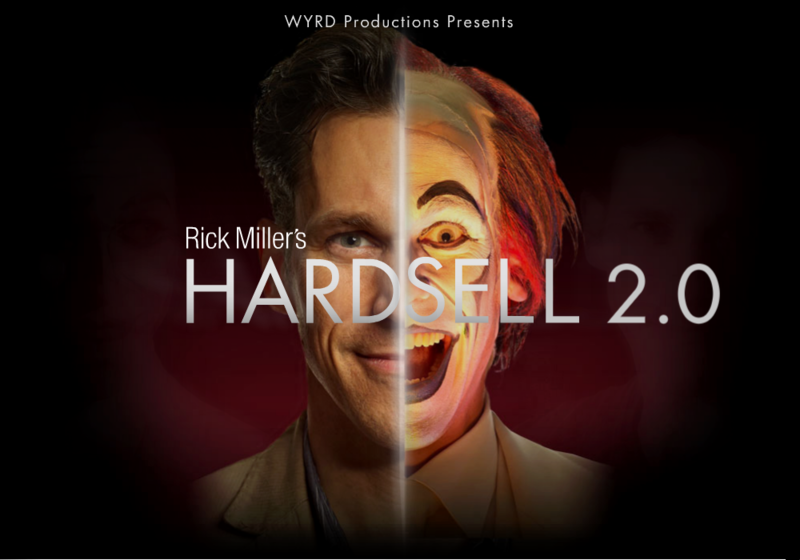 HARDSELL, the theatre show created by Rick Miller and Daniel Brooks. A production of WYRD and Necessary Angel, the play HARDSELL is a multi-media performing arts extravaganza. Starring actor and playwright Rick Miller of MacHomer, the touring show slyly exposes the lies inherent in advertising.